Situated in North West London, Harrow is a well heeled area. Harrow is very central to places such as Wembley, Northolt, Borehamwood, Watford, London, Slough, and Wimbledon and offers immense opportunity for contractor accountants in Harrow and taxation consultants. For contractor accountants, Harrow and the surrounding areas such as Wembley have a lot to offer in the accounting space. Harrow has substantial amount of manufacturing units, namely: KodakAlaris, Colart, Ladbrokes, and Racal Acoustics etc. The Health sector includes Clementine Churchill Hospital, Northwick Park Hospital, and the Royal National Orthopaedic Hospital. 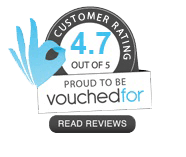 DNS Accountants is an award-winning firm of contractor accountants in Harrowproviding accountancy and taxation consulting to contractors, delivering high quality services across UK. Our team of contractor accountants takes the burden and hard work of accounting out of the hands of the contractors, helping them focus on growing their business and maximizing profits. Our clients regard DNS Accountants - Contractor Accountants in Harrow as their financial and trade associates. At DNS Accountants, a client gets one-to-one association with our competent/knowledgeable specialist contractor accountants. DNS Associates has expertise in helping small businesses and contractors. We have been thriving in the market since 2005 with a large clientele over 1,200. DNS specializes in Limited company accounting; taxation consulting, tax investigation, tax planning and we proudly announce that all the partners and senior staff members of our team are qualified professionals or members of professional accounting bodies such as Chartered Institute of Management Accountants (CIMA), Association of Chartered Certified Accountants (ACCA) or hold university degrees from well-accredited universities. With the skill set and knowledge base our team helps clients save thousands of pounds (£) in taxes and ensure they get maximum returns. Our full business package covers all the business needs and tax affairs with a fixed fee of as low as £55 plus (+) VAT per month. DNS Accountants – Contractor Accountants in Harrow, have special package for Contractors whereby they would never miss any expense claim or allowance and will be fully informed of how to maximize claims and reduce taxes. Nixon Williams £95 + VAT Premier’ package includes company formation, unlimited support, and online accounting portal. SJD Accountancy £120 + VAT Unlimited face to face meetings. Money-back guarantee. Clever Accounts £69 + VAT Complete Package. Registered office address. DNS Associates £55 + VAT Package covers all the business needs and tax affairs with a fixed fee. Proactively discuss IR35 and advice on an on-going basis. In comparison to its competitors, DNS Accountants offer the most economical and viable package for businesses and contractors. Apart from the price being the minimum we focus a lot on client service and customer relationship management. DNS Accountants – Contractor Accountants in Harrow, provide accountancy & taxation servicesthat meet the needs of local businesses and tax payers, in and around Harrow and London. Our expert accountants help clients in services ranging from completion of year end accounts and annual returns to Real Time Information (RTI) payroll, bookkeeping to tax advice and savings, Value Added Tax (VAT) and business plans. At DNS Accountants, we pay attention to details to all financial matters and offer an expert accounts management and information service. Corporation tax can take up a substantial part of businesses’ trading costs, with harsh penalties for businesses that fail to pay the right amounts. Beginning 1 April 2016, the rate of corporation tax is 20%. 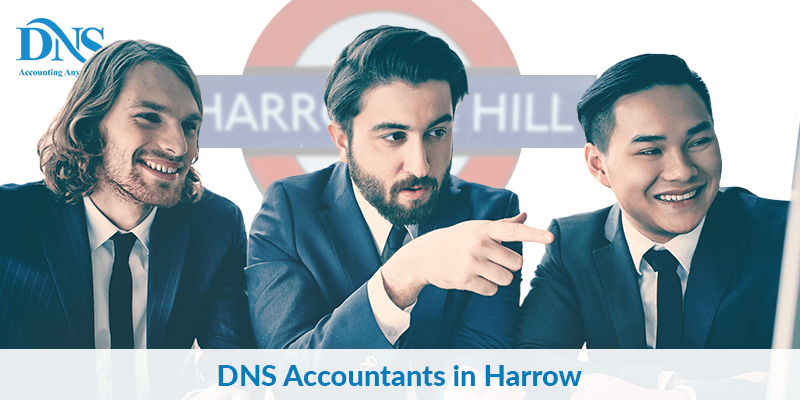 DNS Accountants – Chartered accountants in Harrow, provide specialized accountancy and tax services that are adapted to the personal and business needs of small-businesses and contractors. Our cost effective consulting practice in Harrowemphasis on providing dedicated and professional services to all local businesses and contractors operating in Wembley, Northolt, Borehamwood, Watford, London, Slough, and Wimbledon.